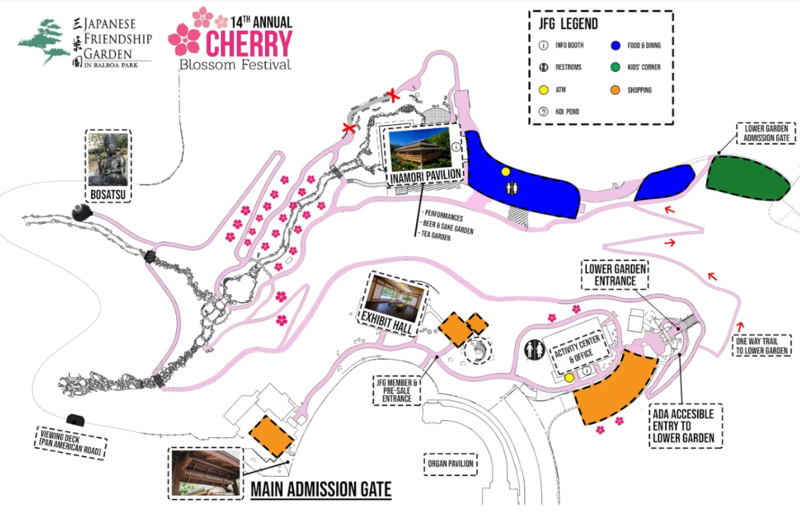 The Japanese Friendship Garden’s (JFG) annual Cherry Blossom Festival returns this year as the 2019 Cherry Blossom Week! During March 18 through March 21, select vendors will be set up throughout JFG giving guests a sneak peek of what’s to come during the weekend. During the evening, the Inamori Pavilion will be host to various special ticketed programming that include yozakura (viewing cherry blossoms at night), workshops, and demonstrations! Tickets to these evening programs will be limited, so be sure to check back with us soon! JFG will bloom into a full festival from March 22 through March 24 with visiting and local merchants offering unique crafts and presents in the upper garden; performances, a beer & sake garden, and tea garden at the Inamori Pavilion; mouth-watering street food in the lower garden courtyard; and an arts & crafts area for children! Get all the latest vendor and performer highlights and ticket purchase updates by following us on social media and signing up for our online newsletters! This year's Cherry Blossom Festival will be having more vendors than ever! Take a moment to look through the local and visiting vendors that you'll be able to see. Click on a logo for that vendor's location, a brief description of who they are, and additional links to their website or social media pages. Vendors will be announced and added to this page as they are confirmed for the festival! One of the most beautiful seasons in the Garden is when the cherry trees blossom into delightful pink clouds. 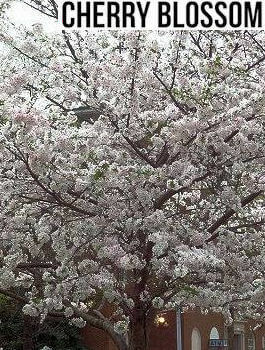 Visitors will have the opportunity to explore the Garden while enjoying delicious Japanese food, arts and crafts, unique gifts, entertainment, cultural demonstrations and the crowning of a new Little Miss Sakura. Guided docent tours will be provided into the Garden's expansion site which will lead to the home of over 150 enchanting cherry trees blossoming with briliant pink flowers for everyone's enjoyment and endless photo opportunities.